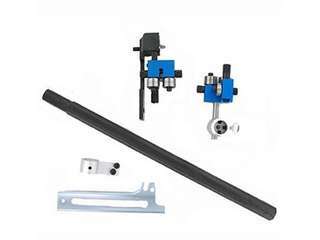 Bandsaw Guide conversion kits replace the lower and upper factory band saw blade guide assemblies with a precision guide assembly. 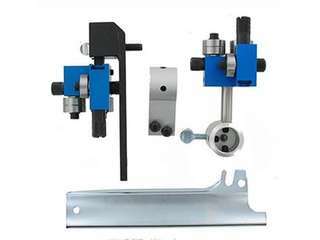 Bandsaw guide conversion (retrofit) kits typically include the upper and lower guides, upper and lower mounting brackets, studs, screws, and (if appropriate) a guard adapter bracket. 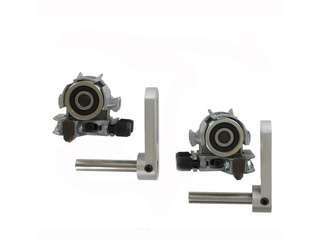 This is a drastic improvement over factory blade guide, In the factory set up the blade is loosely held by solid blocks and the thrust is taken by the side of a ball bearing. 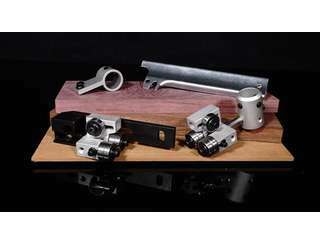 Users report that Guide Kits improve overall saw performance, reduce blade friction, and increase cutting accuracy. Adjustable for blade widths from 3/16" to 1"
This all bearing kit uses our precision guides to promote cooler running and longer blade life. 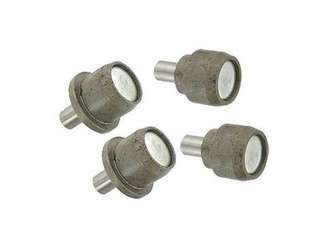 These rugged guides are perfect for general work and resawing. Extra wide conversion kit available to allow use of blade sizes from 1/2" to 1 1/4". Because of manufacturers variations in the saw, the Bridgewood 18" saw has two kit options. The standard Bridgewood 18" kit or the Euro5 kit. Please send us digital photos for set up verification . 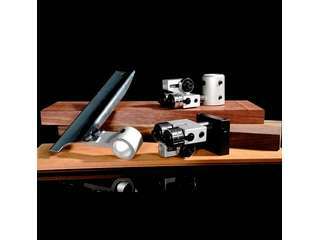 The Bridgewood 18" conversion kit updates your saws performance through the use of precision sealed ball bearing roller guides. 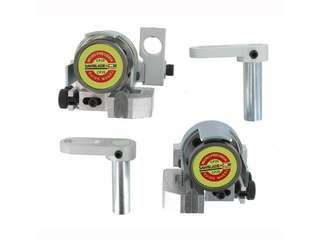 This provides your saw with reduced blade friction, improved cutting accuracy, and is adjustable for blade widths from 3/16" to 1 ¼"
The Bridgewood 20" conversion kit updates your saws performance through the use of precision sealed ball bearing roller guides. 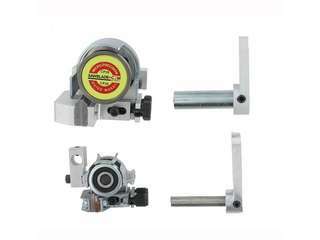 This provides your saw with reduced blade friction, improved cutting accuracy, and is adjustable for blade widths from 3/16" to 1 1/4"
Improves cutting accuracy, and is adjustable for blade widths from 3/16" to 1"
Fits Centauro model 350 saws using a precision sealed bearing guides. 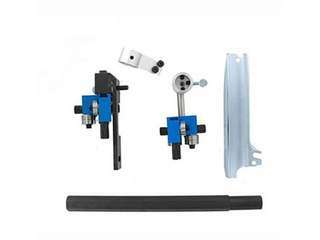 This kit provides full contact blade support and is well suited for general purpose work where a high degree of accuracy is needed. 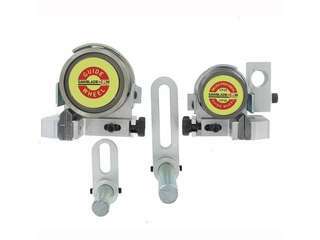 Well suited for general purpose work where a high degree of accuracy is needed. 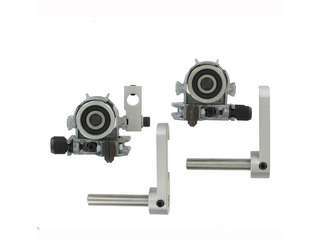 This all bearing kit uses precision roller bearing guides to promote cooler running and longer blade life. The rugged guides are perfect for general work and resawing. 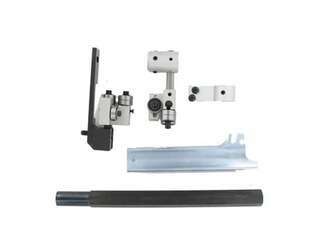 Delta 14" Hex conversion kit is for use with Delta 14" saws that have a hexagonal upper guide support post. 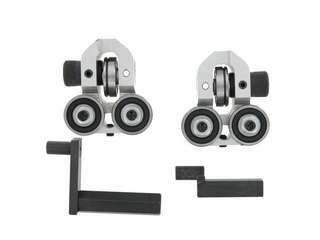 This kit upgrades your saw performance through the use of precision sealed ball bearing roller guides. 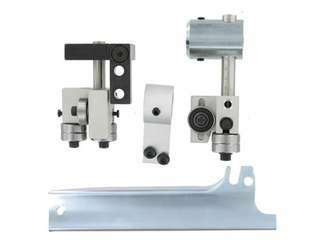 The Delta 14" Hex Micro-Adjust upgrade kit updates your saws performance through the use of Tool-Less Micro-Adjustable guides and is for use with Delta 14" saws that have a hexagonal upper guide post. 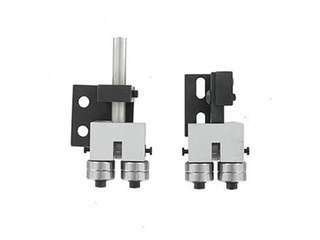 Improved cutting accuracy, and is adjustable for blade widths from 3/16" to 1"
The Micro-Adjustable guides have tool free adjustment of both side support and thrust bearing assemblies. 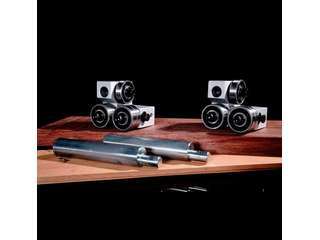 For use with Delta 14" saws that have a hexagonal upper guide post and a riser block installed. Need Help? 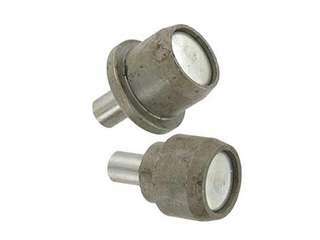 Call Our Direct Parts Specialist: 800.742.0780. Fill out the form. Email that is sent will link to the product and will come from your email address.